The 80-20 rule is one of the most helpful concepts regarding life and time management. Also known as the Pareto Principle, this rule suggests that 20% of our activities will account for 80% of our results. The Pareto Principle was named after the Italian economist Vilfredo Pareto who initially described the principle in 1895. He noticed that people in society seemed to divide naturally into what he called the “vital few,” or the top 20 percent in terms of money and influence, and the “trivial many,” or the bottom 80 percent. Later, Pareto discovered that virtually all economic activity was subject to this principle, in that 80% of the wealth of Italy during that time was controlled by 20% of the population. In fact, we can take Pareto’s 80-20 rule and apply it to virtually any situation. For example, if you’re a baker, you’ll find that you’ll spend 80% of your time baking pastries that generate 20% of your sales. And 20% of your time baking pastries that actually generate 80% of your money. Or if you’re a teacher, you’ll observe you spend 80% of your effort on 20% of the problem kids in your class. But you only spend 20% of your effort on the remaining 80% of the good students. Or, if you’re in sales, you spend 80% of your effort to close only 20% of your deals. But you only spend 20% of your effort to close the remaining 80% of the deals. Napolean Hill, in his book “The Laws of Success” as well as in many of his other published works, talked about the Master Mind Principle. Essentially, the Master Mind Principle describes getting a group of like-minded people together to accomplish a specific goal. Having personally joined and paid to be a part of a few Master Mind groups in the past, I found the Master Mind Principle to be a very productive and highly inspirational. As a result, I began a Master Mind group for doctors a number of years ago called Physican’s Medical Master Mind Alliance (PM3A). With the goal of utilizing both the Pareto Principle and the Master Mind Principle, and to make efficient use of time due to increased demand, I’ve decided to focus my attention to a small group of people who wish to achieve extraordinary success towards specific health and wellness goals. Purpose Of The P2M2C Groups? Using the Pareto Principle and truly understanding the implications, sequential and logical thought would dictate that we focus in on achieving the “80%” of our results which takes only 20% of our effort to achieve. What about the rest? Well, now we have choices. We can choose to give up the remaining 20% of our results because it simply isn’t worth the 80% of our effort that it takes to achieve them. Or we can choose to put forth 80% of our effort to achieve the remaining 20%. In other words, the Pareto Principle allows us to become far more efficient and productive and gives us the ability to choose to focus our efforts on what gives us the most results. It is simply our choice now. However, the Pareto Principle interestingly seems to be underestimated. In my observation, the it would more accurately be described as the 90%-10% rule with all the corresponding implications. Each P2M2C Groups will be limited to 50 people (except the Physician’s Group). Each group will have separate group conference calls, separate webinars and will be oriented towards completely different goals. Although some principals may overlap, the strategies and goals for each program are very different. Please note, membership is by APPLICATION ONLY! All qualified applications will be reviewed and personally approved by Dr. Buttar as he will be working with each group himself directly. Final decisions on acceptance to any P2M2C Groups is at the sole discretion of Dr. Buttar. The 5AYC Consulting Master Mind Group (CMMG) is for the exclusive membership of those who are or have previously suffered from cancer, or have a major concern due to a strong familial disposition towards cancer. The 5AYC Consulting Group is named after the 5 Steps of Addressing Your Cancer. The CCC Consulting Master Mind Group is for the exclusive membership of those who are currently, or have previously suffered from any circulation disorder, including the heart (cardiac), brain (cerebral) or periphery (extremities) resulting in heart attack, stroke or any other circulatory issue. The AGE Consulting Master Mind Group (CMMG) is for the exclusive membership of those 60 years of age or older who are primarily in Age Management strategies designed to enhance the quality of life in order to eventually impact the quantity of that life by prolonging and enhancing life. The OMG Consulting Master Mind Group is for the exclusive membership of those who are seeking true optimization of their physiology and desiring maximum personal and emotional growth in order to achieve the highest levels of wellness, performance, functioning and awareness. The Physician’s Medical Master Mind Alliance (PM3A) is for the exclusive membership of physicians and health care providers that have a desire to take their practices to the next level. Open only to licensed physicians (DO’s and MD’s) and dentists (DDS’s and DMD’s). Also open to NMD’s that are licensed to practice and have graduated from an accredited naturopathic medical school. —Greg Provenzano, President and Co-Founder of ACN Inc., the World’s Largest Direct Selling Telecommunications Company providing services in 21 different countries. —- Ned Jarrett, 2 time NASCAR National Champion, inducted into 15 Halls of Fame and the only person in history to retire from NASCAR while still a National Champion. Dr. Rashid A. Buttar became an Eagle Scout at the age of 14, becoming the youngest person in the US to get his Eagle in 1980. Dr. Buttar graduated high school at age 17 and received his undergraduate degree from Washington University in St. Louis with a double major in Biology and Theology at age 21. Dr. Buttar then attended medical school at the University of Osteopathic Medicine and Health Sciences, College of Osteopathic Medicine and Surgery in Des Moines, Iowa, graduating with his medical degree at age 25. Dr. Buttar did a rotational internship with an emphasis in General Surgery in Houston, Texas and then later trained in General Surgery at Brooke Army Medical Center in San Antonio, Texas. While serving in the US Army, Dr. Buttar also served as Brigade Surgeon for 2ndInfantry Division, Republic of South Korea, and later as Chief of the Department of Emergency Medicine at Moncrief Army Community Hospital at Ft. Jackson in Columbia, South Carolina while serving in the US Army. Dr. Buttar made the list for promotion to Major in the US Army at the age of 28, becoming the youngest person to make the list for the rank of Major that year in the US Army just prior to finishing his service in the Armed Forces. During his military career, Dr. Buttar had the privilege of serving with and being attached to the 2ndInfantry Division, the 101stAir Assault Division and the 5thSpecial Forces Group. Dr. Buttar is board certified and a Diplomate in Clinical Metal Toxicology and Preventive Medicine, is board eligible in Emergency Medicine and has achieved fellowship status in three separate medical organizations (Fellow of the American College for Advancement in Medicine, Fellow of the American Academy of Preventive Medicine, and Fellow of the American Association of Integrative Medicine). Dr. Buttar now serves as the Medical Director for the Centers for Advanced Medicine. The Centers are located in NC, TX, and CA, specializing in the treatment and needs of patients refractory to conventional treatments who have failed the standard approach to their disease process. With a special emphasis on the interrelationship between environmental toxicity and the insidious disease processes and the “dis-regulation” of the immune system, Dr. Buttar and the Centers have attracted patients from over 90 different countries suffering from autism, cancer, heart disease, stroke and many other conditions too numerous to list. 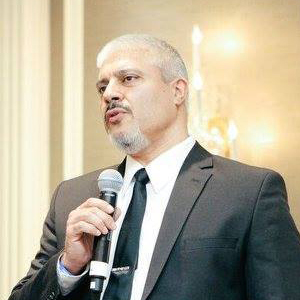 Dr. Buttar previously served as Director of Clinical Research and Development for V-SAB Medical Laboratories where he was extensively involved in research with polypeptide and peptide analog sequencing and identification technologies as well as innovative methodologies for drug delivery mechanisms. In addition, Dr. Buttar was heavily involved in clinical outcome-based research and response based studies with various groups including personal interest, private BioTech companies, university-based projects, and government-sponsored clinical research. Dr. Buttar has lectured worldwide on these subjects at scientific congresses and professional symposiums and has been frequently invited to present at medical conferences. He has appeared and been featured in local, national and international media including newspapers, radio, and TV. He has been interviewed by or written about in numerous news journals including the Wall Street Journal, US News and World Report, TIME Magazine, Boston Globe and the New York Times. Dr. Buttar has been invited to and testified in front of the North Carolina Legislature as well as the United States Congress, giving special testimony before the Congressional Sub-committee on Human Rights and Wellness. Phillips Publishing, Health Directions Inc., and Stephen Sinatra, MD have either listed or cited Dr. Buttar as being among the “Top 50 Doctors in the United States”. Dr. Buttar served as Educational Chair for the American Board of Clinical Metal Toxicology (ABCMT) for 3 years and was in charge of the national training program that leads to Board Certification in Clinical Metal Toxicology. Dr. Buttar then became the Vice Chairman and eventually was elected as Chairman of the ABCMT and served in those capacities for over 6 years. Dr. Buttar was also a member of the 12 member National Metals Task Force, appointed to address the endemic nature of metal toxicity and the resulting implications on world health during the administration of President George W. Bush. Dr. Buttar also served as President of the North Carolina Integrative Medical Society for 6 years and also headed up 2 other medical societies in the past as President including the Advanced Medical Education and Services Physician Association and Center for Advanced Medicine Physician Associates. He has served on numerous boards as well as CME committees for a number of medical organizations and societies including the American Association for Health Freedom, Age Management Medical Group, International College of Integrative Medicine and American College for Advancement in Medicine. Dr. Buttar also served in the past as Visiting Scientist as well as Nutritional Scientist at North Carolina State University and actively taught for well over 20 years as faculty for mainstream medical courses such as Advanced Trauma Life Support (ATLS) courses for physicians through the American College of Surgeons as well as the Advanced Cardiac Life Support courses for physicians, nurses and emergency response personnel. In addition, Dr. Buttar served as faculty for the Pediatric Advanced Life Support courses for over 15 years. Dr. Buttar’s first book, “The 9 Steps to Keep the Doctor Away” released in 2010 became a Wall Street Journal, USA Today and Amazon.com best seller and has since, become an international best seller now translated into multiple languages. To access more information and learn more about the principals and philosophy of Dr. Buttar, or to be notified when Dr. Buttar releases new videos or books, or to simply stay in touch with Dr. Buttar, visit the following links and hit subscribe!